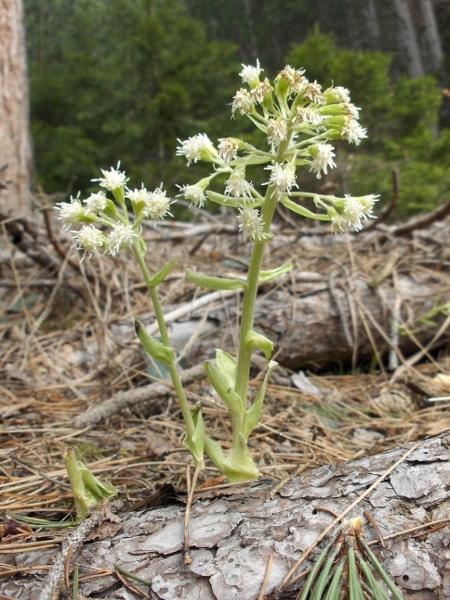 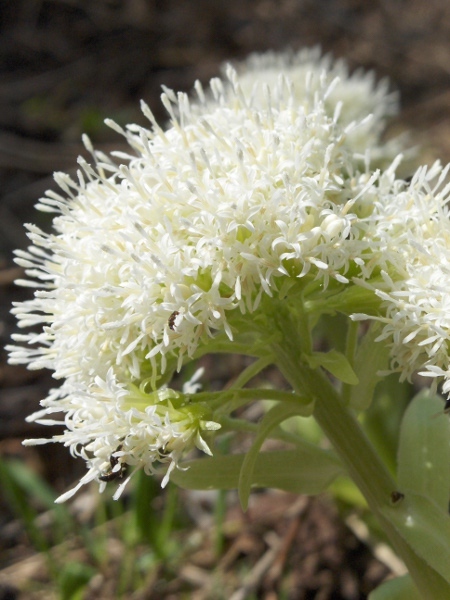 Petasites albus flowers before its leaves appear; the flowers are white. 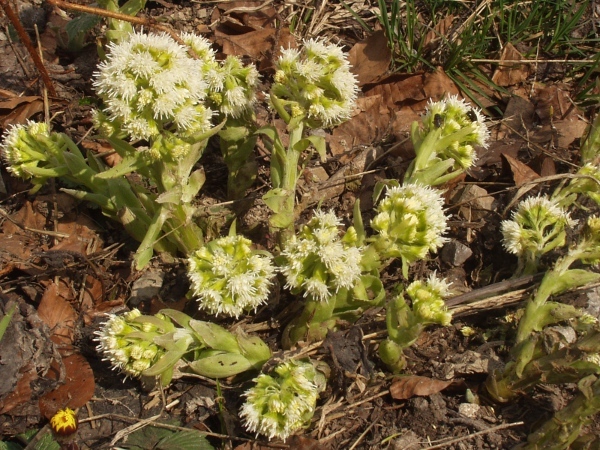 Petasites albus is found scattered across the British Isles, but is most common in eastern Scotland. 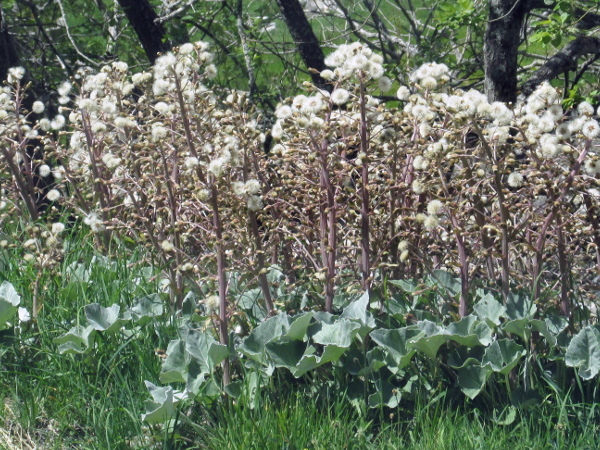 The fruits of Petasites albus are achenes with a white pappus.